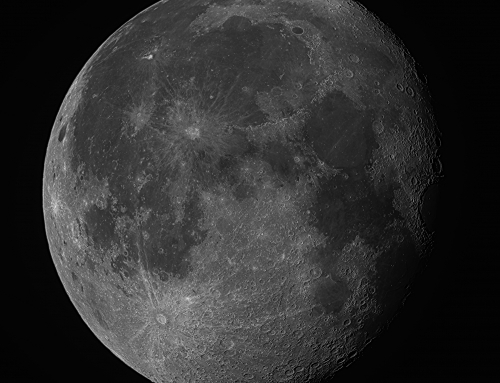 The last time I imaged the moon was October 2014, and I don’t shoot the moon too often. 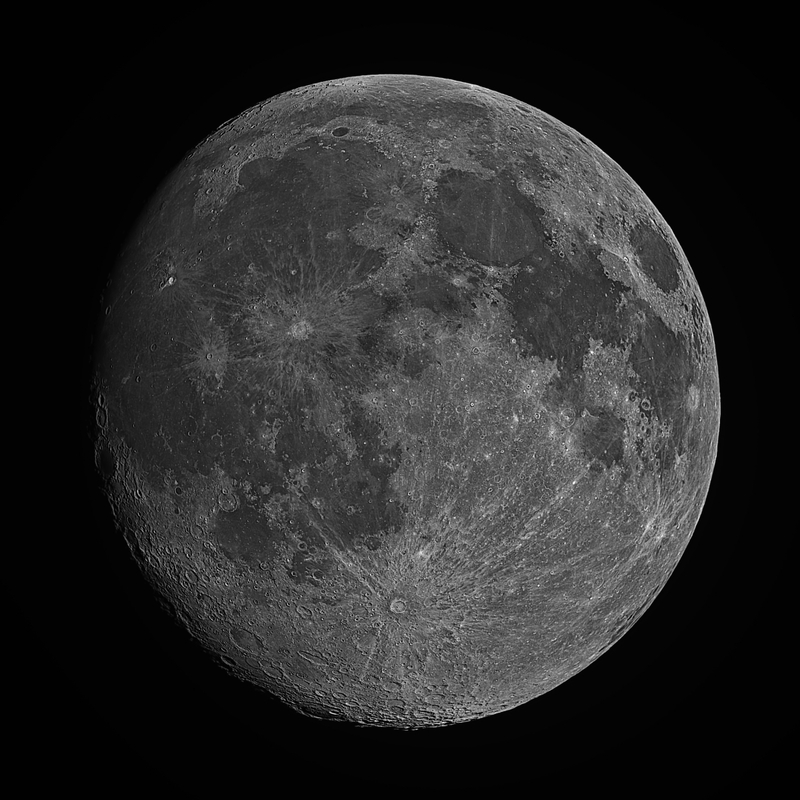 But tonight was hazy with a gibbous moon, so I wasn’t able to do any deep sky imaging. I waited until around local midnight (1 am EDT) to take this image. 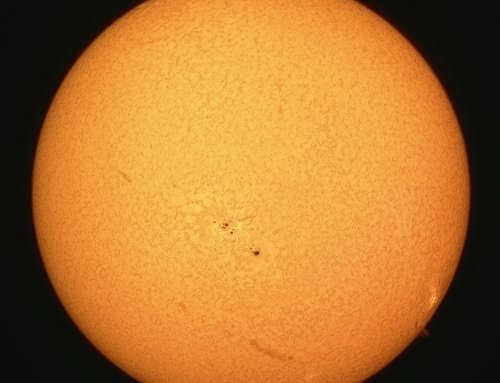 SBIG STL-11000M camera, Baader R filter, 10″ f/6.8 ASA astrograph, Paramount MX. No guiding. Acquisition with TheSkyX. Focusing with FocusMax. Calibration in Maxim-DL. Registration and combination with Registax 6.1. All processing in PixInsight. Shot from my SkyShed in Guelph, Ontario. Above average seeing and below average transparency. The light frames were calibratedin MaximDL and exported to FITS files. 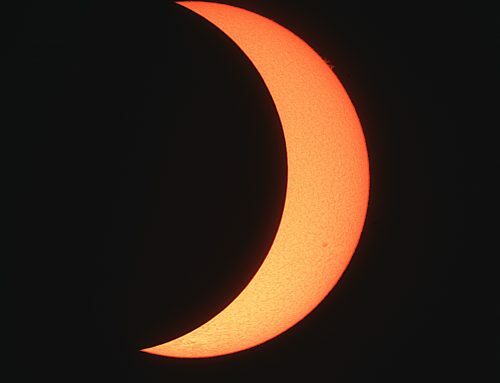 Registax was used to register and combine the 40 frames. The image was saved as a 16-bit TIF file and then opened in PixInsight. MultiscaleLinearTransform was used for selectively sharpening the image, followed by deconvolution. HDRMultiscale transform was applied to compress the dynamic range, followed by LocalHistogramEqualization to boost contrast (with brightest areas protected with a mask). A curve was applied to slightly brighten the image and increase contrast. Image scale for this camera/telescope combination is about 1.1 arc sec per pixel.